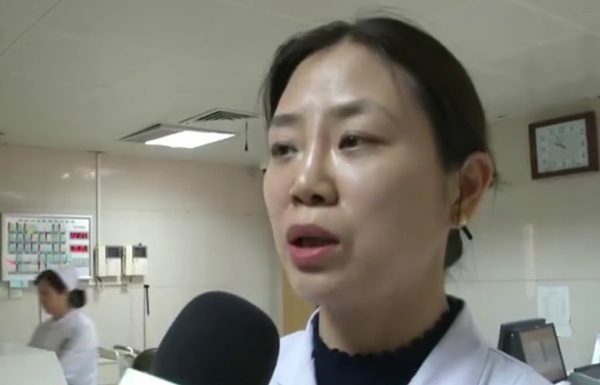 A recovering cancer patient swallowed a cup of live maggots after being told by a friend that this could fully eliminate the cancer from her body, local Chinese media reported on March 21. 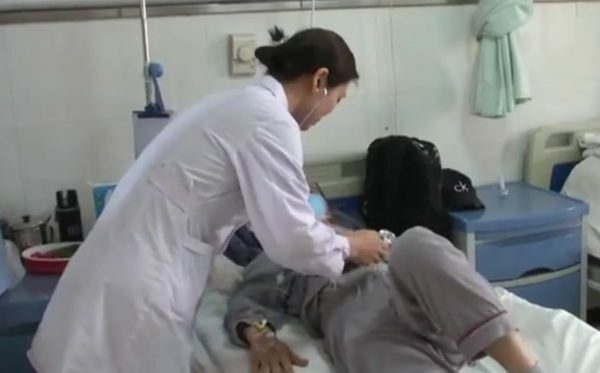 Doctors in Shaanxi Province, China, suspected that the woman’s cancer had relapsed. But after some tests, they found that her symptoms were not caused by cancer, but rather by the insects crawling around inside her stomach. The woman, whose surname is Li, has received medical treatment to remove the maggots, and is now in stable condition. Three years ago, Li had been diagnosed with cancer in her left lung. Li underwent many different treatments, including surgery, radiotherapy, chemotherapy, and targeted therapy, according to local media First News. Finally, her condition stabilized. Then, Li returned to the hospital. Li said that starting two weeks prior, she began to suffer from chest pains, acid-reflux, and heartburn, according to First News. She said the pain would become worse, even unbearable, at night. Since no cancer was found, the doctors decided to instead exam Li’s stomach directly, in search of the source of her pain. The hospital performed an endoscopy, using a camera to view her digestive track. “We discovered that there were parasites in her intestines, and what’s more is that they were still moving,” Wang said in the video. 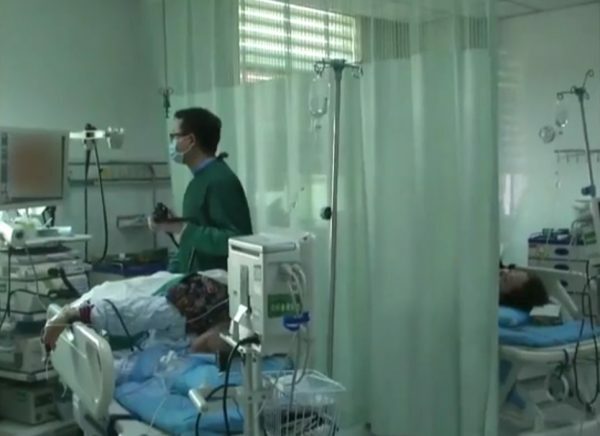 “Finally, after we asked the patient in detail [about what she’d done], the patient told us that one month ago, she swallowed a bottle of maggots,” Wang said. Li told the doctors that is was a folk remedy that she heard of from a friend. According to Li, the friend claimed that her cancerous tumor would be cured after ingesting a bottle of maggots. Once the doctors found the cause of Li’s ailment, they administered medicine to kill the maggots. By the second day, Li’s pain was completely gone, according to First News. Li has already left the hospital, and is now following the doctors’ orders. Though modern Traditional Chinese Medicine and folk treatments may have efficacy in some cases, some other ideas of health have gone to unwise extremes in China. One woman recently gave herself an intravenous fluid drip full of fruit juice. 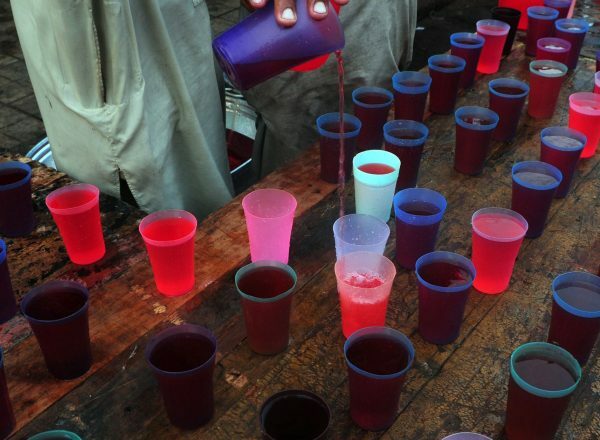 The juice came from a mixture of 20 different fruits. Not long after, she felt itchy and hot. The concoction nearly poisoned her. She was taken by her husband to a hospital for emergency treatment, and was admitted to the intensive care unit. She was found to have serious damage to her major organs, including liver and kidneys. Furthermore, her blood was unable to clot. The doctors diagnosed her with sepsis. After treatment, she survived and left the hospital. “I had thought that fresh fruit juice had plentiful health benefits,” the woman told the Xiaoxiang Morning Herald. The doctor responsible for her also warned against such careless attempts at treating oneself.